Bassist Lance Frantzich migrated to Los Angeles from the Central Valley of California to study Theater. Having acted in over 40 productions, musicals and short films, he became a member of Tim Robbins’ critically acclaimed theater company The Actors’ Gang. As a young man, he played violin, piano and later studied voice in college. 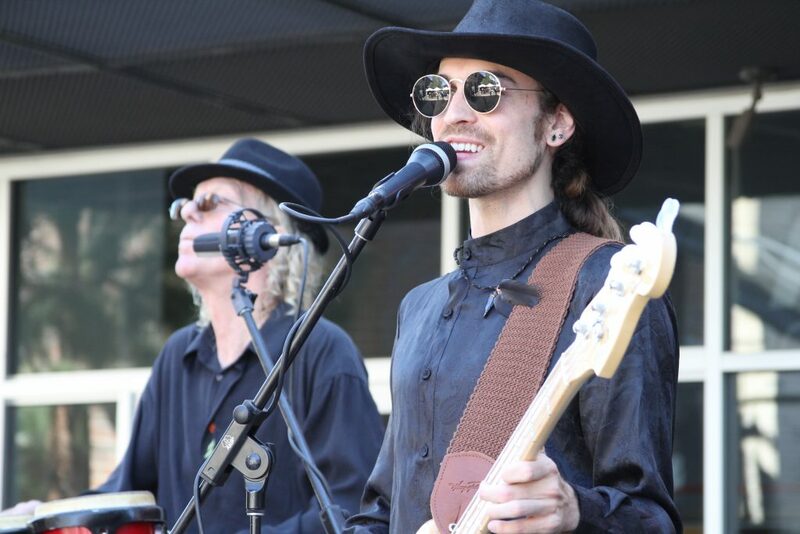 Lance originally came to The Storytellers as a singer and hand-percussionist in 2016 but took up the bass when The Storytellers expanded from a duo to a full band. When not storytelling, Lance is an avid reader, enjoys gardening, creates healing herb formulas and hand-crafts folk jewelry.